The power and majesty of Rome is no more. Military units that patrolled the known world have been called home to prop up a dying empire. Outer provinces that once thrived under the rule of law are now open to attack. 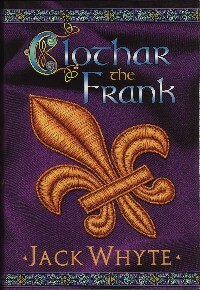 Clothar, the son of a Frankish lordling, has been sent to one of the few schools left in Europe where logic and philosophy are taught along with battle techniques. In this cruel new world where the veneer of civilization is being held together by the sword rather than the law, Clothar grows to manhood and vows to uphold the concepts of justice and righteousness and help his people to live in peace. That vow is tested when his family is destroyed by a heinous act of betrayal, and revenge is all he can think of. It is a noble cause but one that would most certainly mean his death, and his mentor convinces Clothar to embark on another path. If he cannot save his own people from the barbarians, he can go to the aid of another who has the men and arms to do just that… There is a new High King in Britain, a young man called Arthur Pendragon, who supposedly intends to replace barbarism with law in his own realm and therefore represents the last great hope for all that is good and noble. Clothar readily swears fealty to Arthur and together they set out to build a dream that they acknowledge might be too perfect to last. Both of them will fall in love with a woman who shares their dream…and whose love for them might destroy all. Tales change in the telling down the centuries. But any reader will surely know of this heroic young man as certainly as they know Arthur, King of the Britons. Clothar, Arthur’s most beloved champion, who was known then simply as the Lance Thrower, is now known by a much more modern name. We call him Lancelot.